The Chumph bigots would like you to believe that the issues BLM is talking about only concern black folks…They’re Wrong. People concerned for the equality of African-Americans take part in a Black Lives Matter rally in Dubuque. “A lot of people here feel that there is a problem with racism and divide,” said Jill Garcia who helped organize the event. There’s no official Black Lives Matter chapter in Dubuque, however, this didn’t stop people from all backgrounds marching peacefully together. “It’s important because just to recognize black lives matter, because all lives are supposed to matter,” said Howard Lee III, of the Dubuque Branch NAACP. 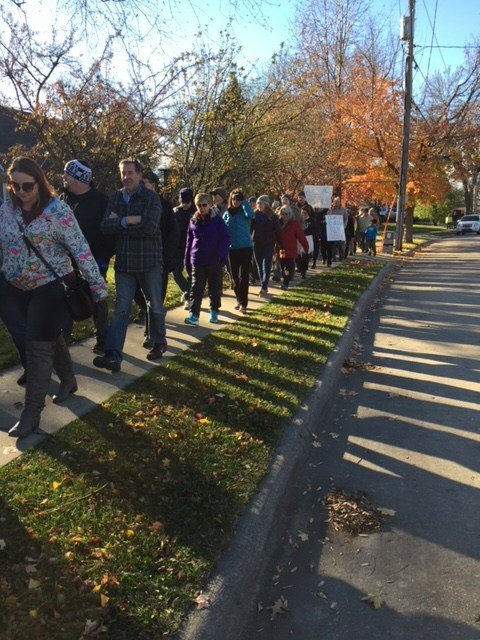 This particular march is unique to Dubuque. “The great part about this is that there’s a lot more white individuals here than black individuals,” Lee said. About 100 demonstrators walking down South Grandview Avenue then gathering at Rockdale Park speaking out about different issues, taking a stand against racism, police brutality and inequality. One of them, Steven Meier, who admits he was part Dubuque’s racial problems in the late 80s and early 90s. “As a young impressionable man, I really started to feel hatred towards people who didn’t look like me,” said Meier. But with time and wisdom, he’s now here to make amends. “If we ever wanna see the change and love that we need in this world, it starts by letting people know that we support black lives,” he added. These Dubuquers say it’s about making the community inclusive for all. In opposition, an All Live Matter march was also scheduled for the same time and location, however, none of those protesters were noticeable. At the march, people also wrote notes regarding changes they’d like made to certain policies. Those will be submitted to President-elect Donald Trump and members of Congress. This article in the Chicago Tribune talks about the Chicago Mayor, Rahm Emmanuel and his inability to fix the Police Department. The real story here though is the shattered relationship between the community and their police department which has failed them at nearly every turn. Wrong question, Trib! 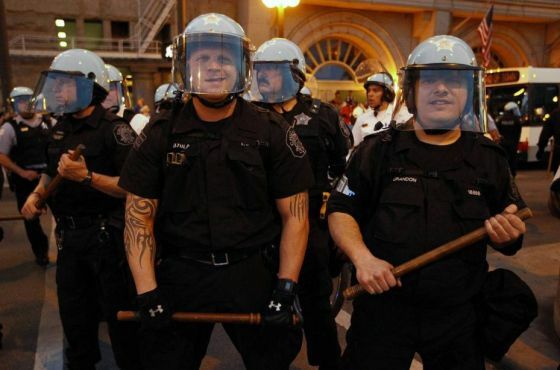 The survey’s results illustrate a deep-seated distrust of the Chicago Police Department put in stark relief by a series of revelations about the death Laquan McDonald, a black teenager shot 16 times by white Officer Jason Van Dyke in October 2014. Police dashboard-camera video showed McDonald walking away from police when he was shot, but police reports show six officers claimed the teen had moved or turned threateningly toward them. Prosecutors eventually charged Van Dyke with murder, but not until 13 months later, hours before the court-ordered release of the shooting footage. The chain of events led to weeks of street protests, calls for the mayor’s resignation and a federal civil rights investigation into the Police Department. The poll found a dim view of the Police Department across racial and ethnic lines. Only 20 percent of voters said they believe city cops treat all citizens fairly, including just 6 percent of African-Americans surveyed. The new poll backs up that perception of unfairness across racial and ethnic lines. One in 3 white voters thought the police were fair to everyone while 53 percent said they were not. Twenty-three percent of Hispanics thought the police were fair to all, while 69 percent did not. Among African-American voters, only 6 percent said cops treat all citizens fairly while 85 percent said they don’t. Lonnie Morgan is in the latter group. The 63-year-old retired painter said he too often sees officers pull young black men out of cars as they just try to hang out in his neighborhood, Greater Grand Crossing. Nine in 10 Chicagoans said they believed there’s a code of silence in the department, with just 3 percent saying it didn’t exist. Overall, 64 percent of voters said the code of silence is a widespread problem, while 26 percent said they believe it’s limited to a handful of bad cops. Among white voters, half said the code of silence was widespread, while 38 percent called it an isolated problem. Just 16 percent of black voters called the code of silence limited, with 79 percent saying it’s widespread….